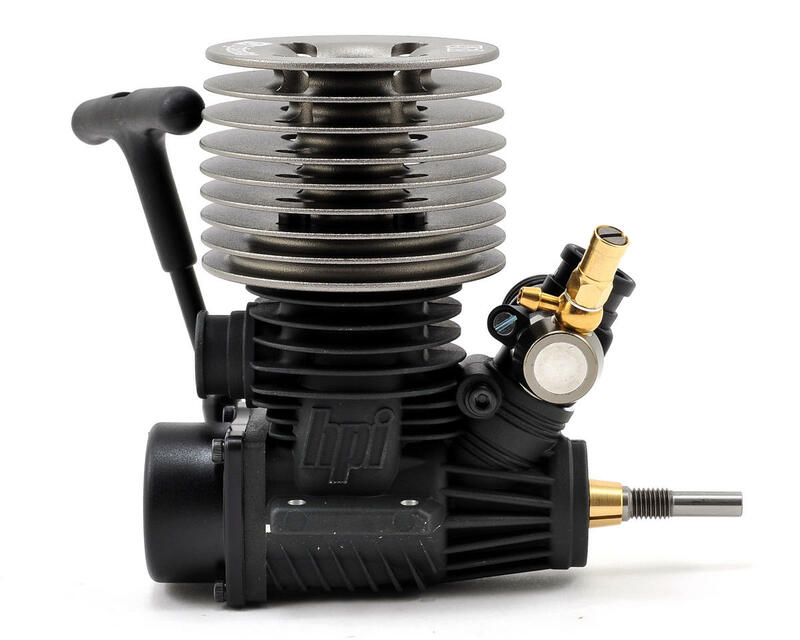 This is the HPI Nitro Star F4.6 V2 Pull Start Monster Truck Engine. 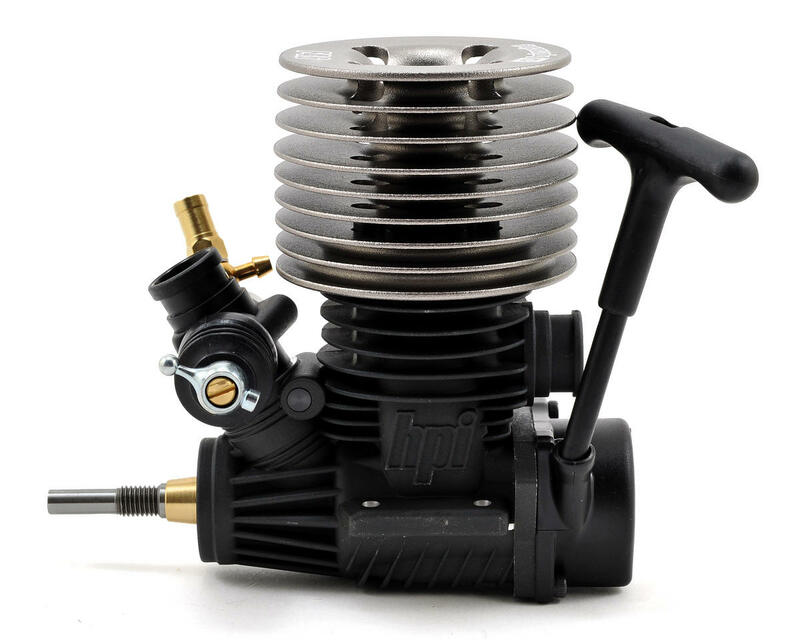 This engine is the stock replacement for the HPI Trophy Truggy and Savage X 4.6 vehicles. The F4.6 is the powerplant responsible for the immense speeds and raw torque in the Savage X 4.6, and now it's available to fit into any Savage or big-block monster truck! It features all the race tuning you could ever want in a big-block monster truck engine, fantastic good looks and plenty of attitude! With 2.9 horsepower on tap, it really is true that there's no replacement for displacement! 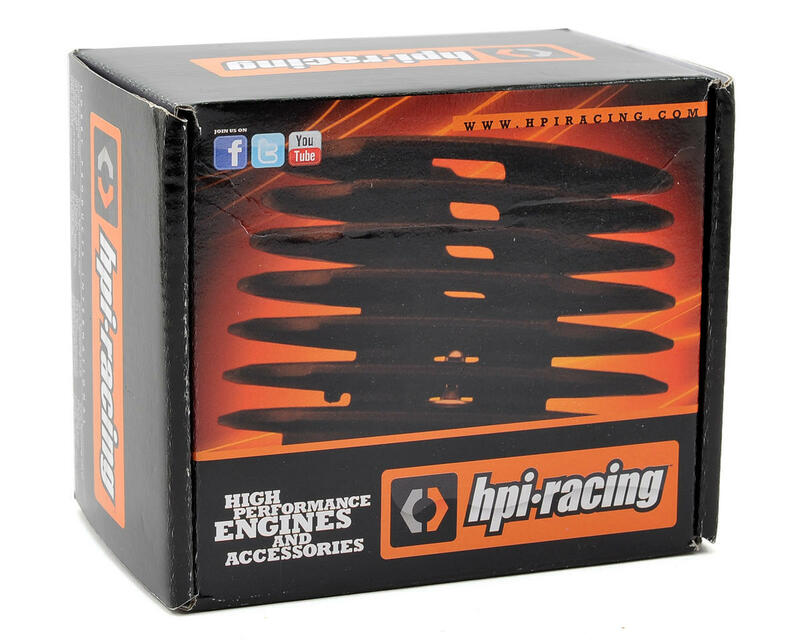 With 8-port race tuning, you get a huge powerband through the entire rev range, all the way up to 32,000RPM! 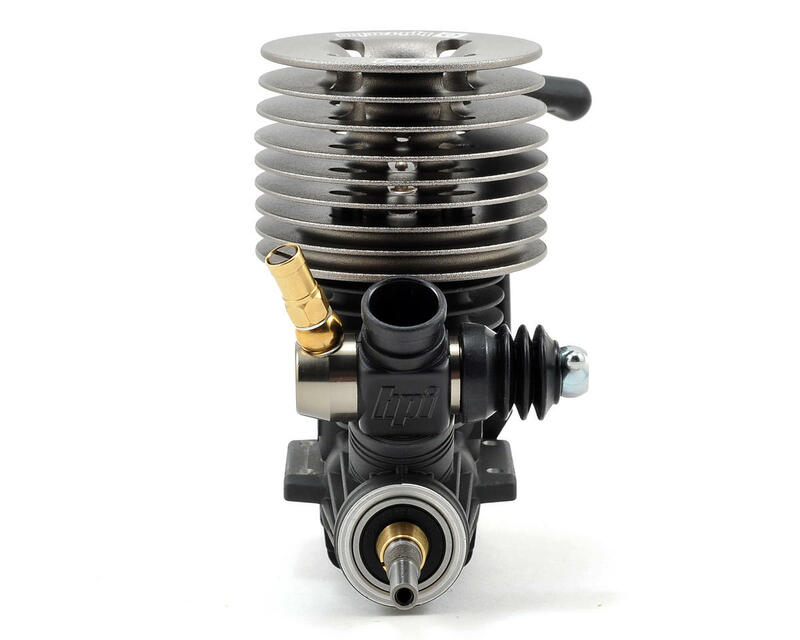 The composite 7.5mm carb is heat-resistant for consistent tuning as the engine warms up. 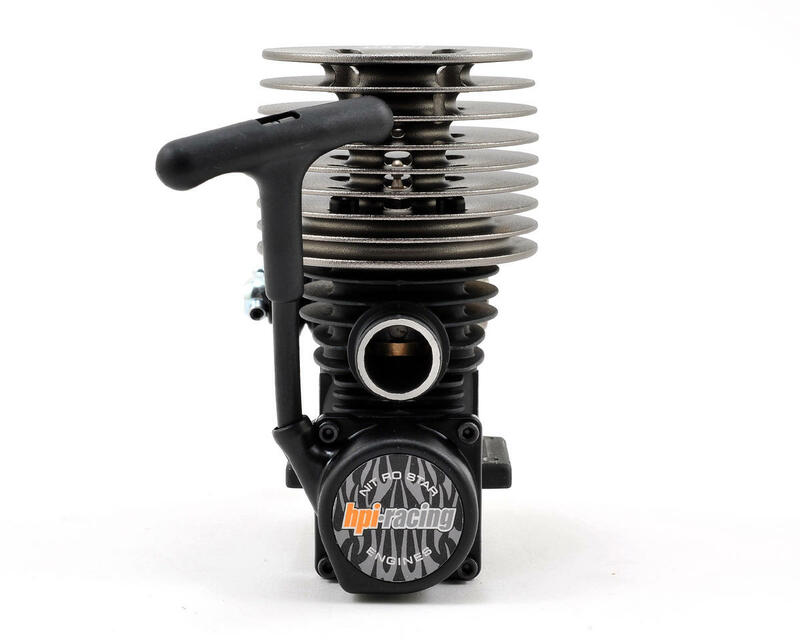 The F4.6 V2 also features a redesigned crankcase and heatsink with larger heatsink fins for improved cooling. 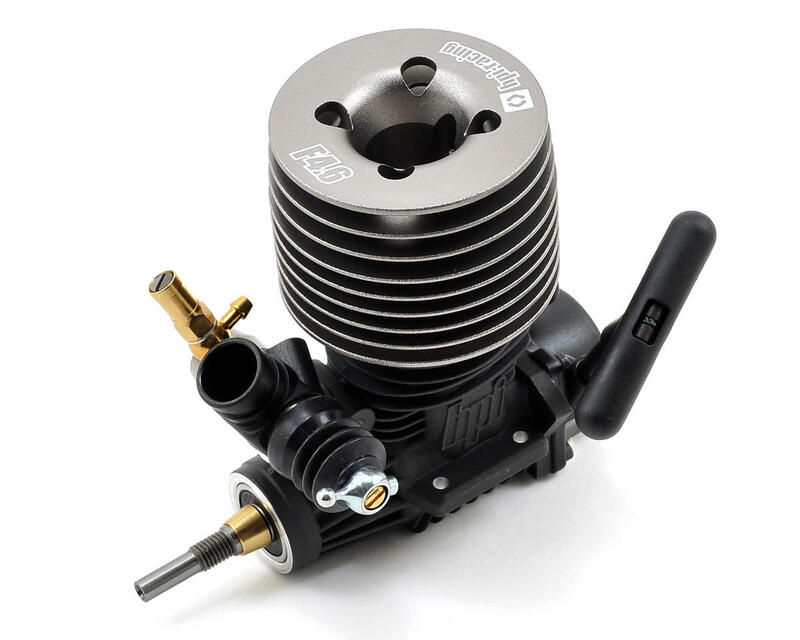 This design also makes the engine 37g lighter and 12mm shorter. 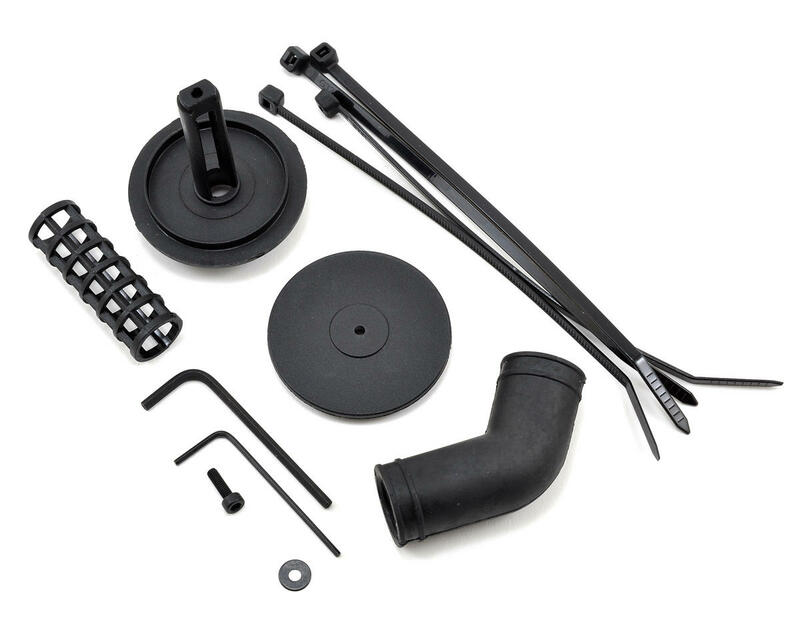 An updated pullstart utilises a one-way bearing encased in a large 14mm hex for increased durability.